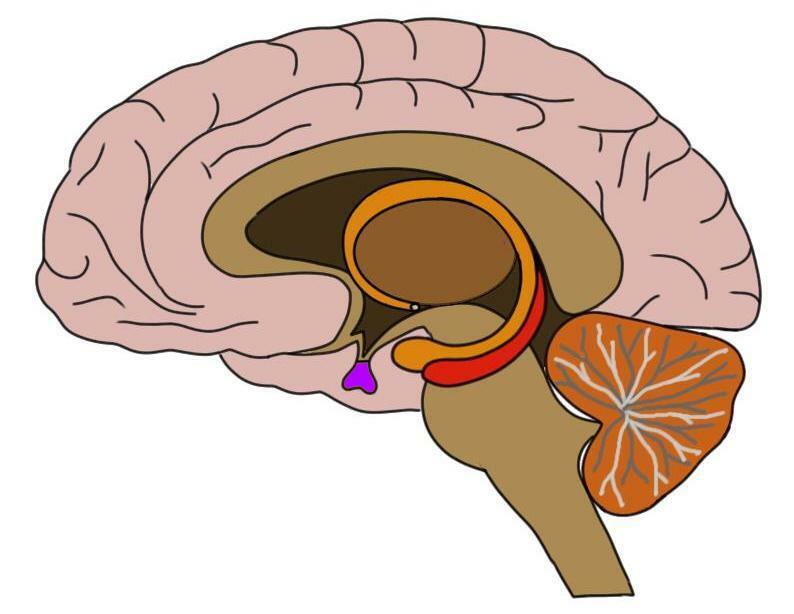 The pituitary gland is colored purple in the image above. also known as the hypophysis, the pituitary gland is an endocrine gland that extends from the bottom of the hypothalamus. The pituitary gland produces and secretes hormones, as well as secretes hormones produced by the hypothalamus.